Okay, here is number 2 on resists for the 21st Crusade of Michelle Ward (Michelle: hope you have a good time with your sister AND sending positive vibes to make her feel BETTER). I work a lot with resists: as an artist (did not want to write that at first, it feels high brow, arrogant, not me, but crafter sounds…. dull, sorry) AND as a professional trainer in communication skills (“If people tell me exactly what to do, I freak out. But when I tell my collegue what to do, he just has to listen” …. MMm. How does that make sense to you? “It just does”.) That is my work, love it! What more? 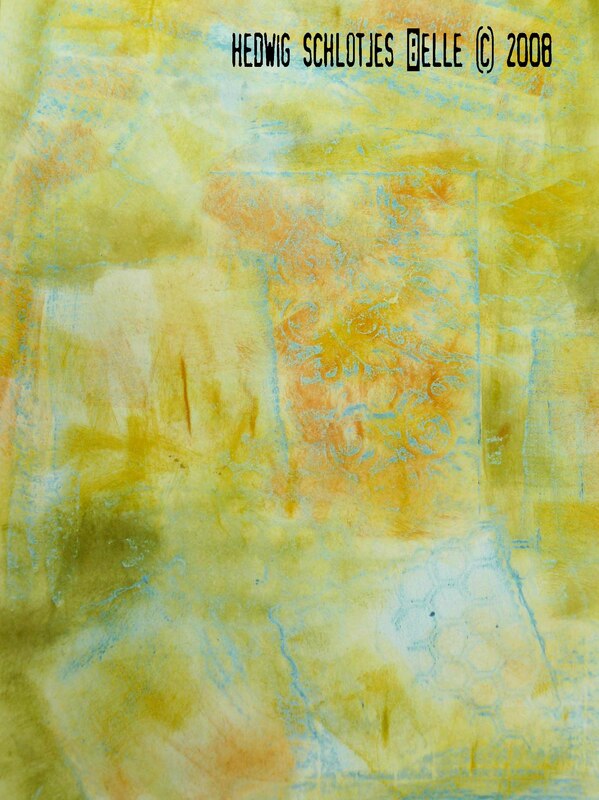 It’s still resist, different techniques (OKAY: same colors of distress inks). I took a stencil and I put on texture magic (bought it at Michael’s when i visited the States, why did I only buy one tube?? it was less then 4 dollar…). Smear it with something that looks like a credit card onto your paper, while holding the stencil on it’s place. Let dry. 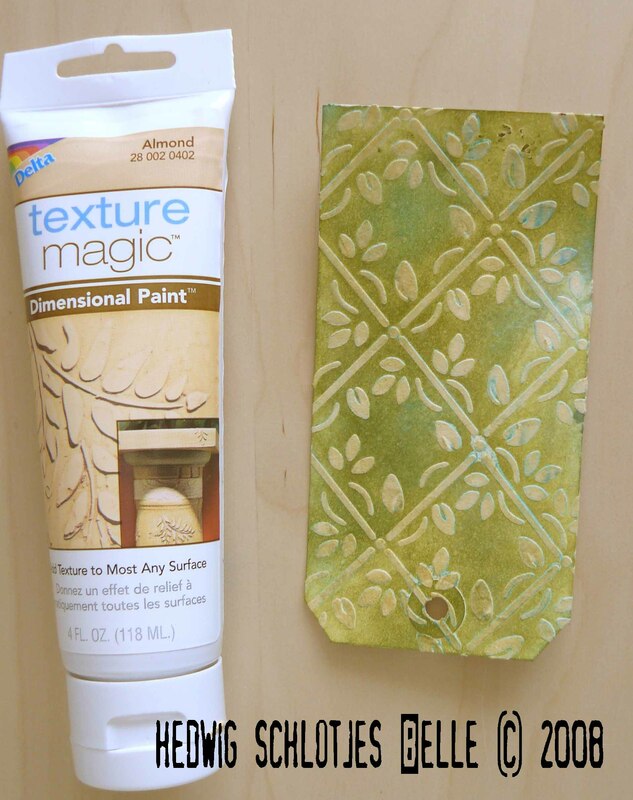 The texture magic (very lightweigth acrylic paint) is a resist for inks and paints. 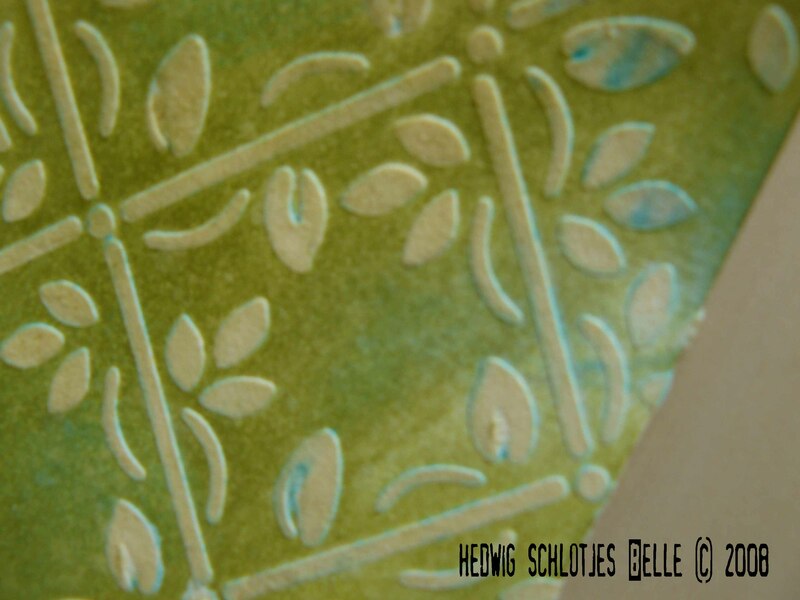 A close up from the texture magic tag. (the feel is great, a little velvety. 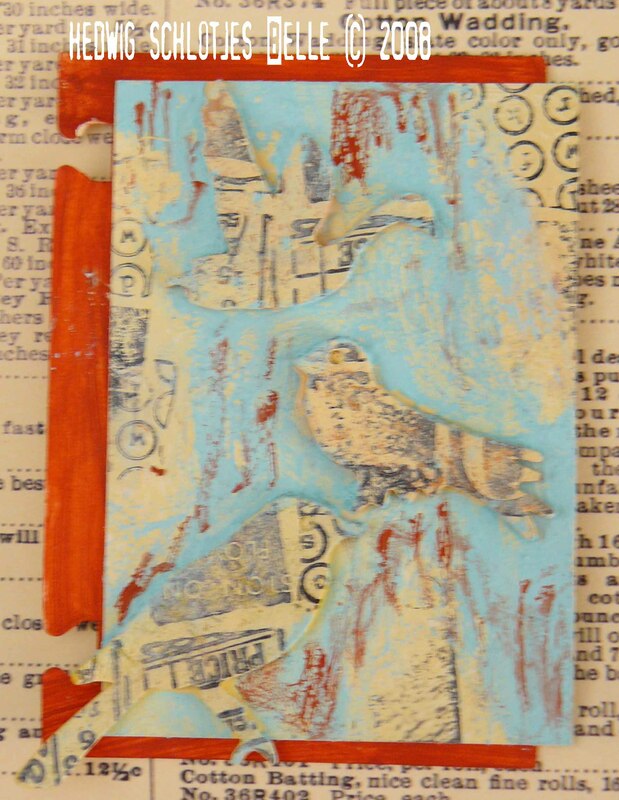 I also like the feel of a crayon resist: the wax adds smoothness to the paper). 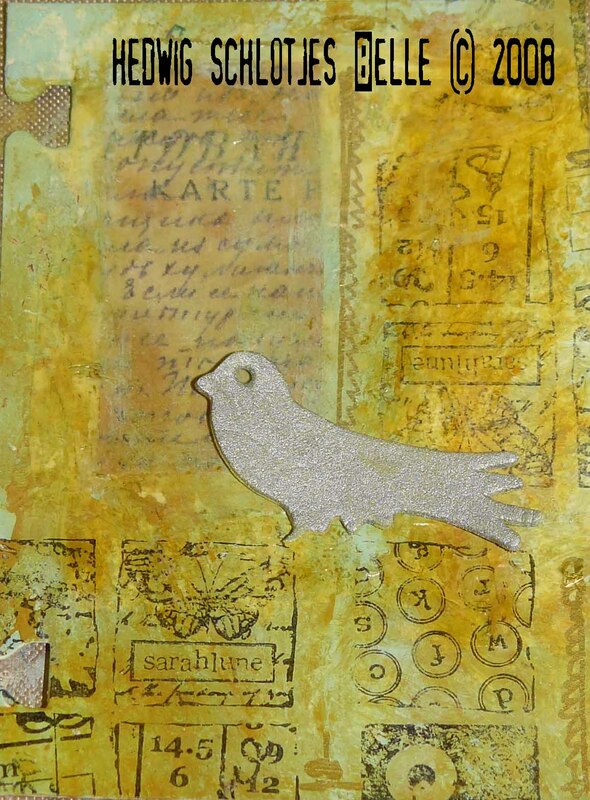 And I could not resist telling you this one: if you have paper or an image of a stamp and you want to put paint over it, but still be able to see it through afterwards, then use gel medium as a resist (gloss works best). You can use your acrylic paint in a more watery substance or you can work quickly and use a baby wipe to get the overload of paint of. 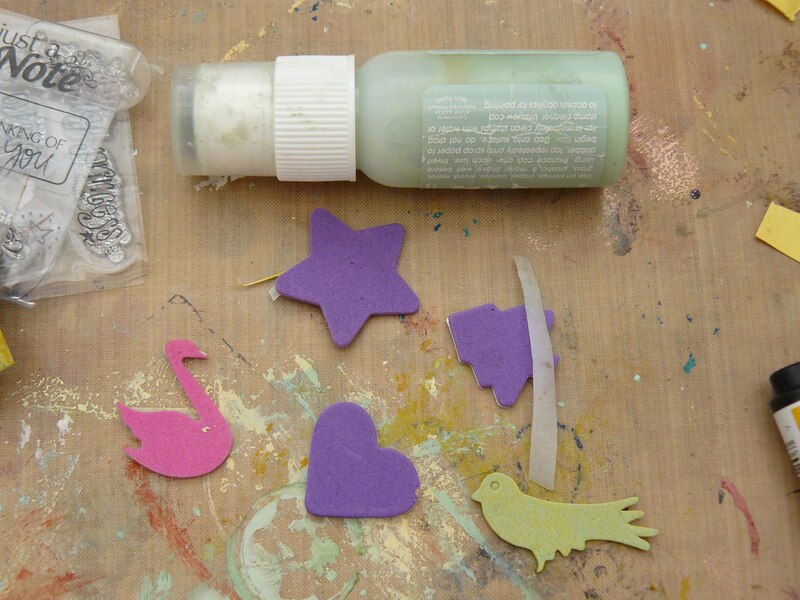 If you waited too long, stamp cleaner (for solvent inks) helps you to remove the acrylic paint. In this one I used a scrap op paper with text that i wanted to layer with paint, but not in a way that it would disapear. The last technique is more a reversed resist. You use foam figures (go to the kids craft department) and glue it on a piece of paper. Well, that’s it for now!!! I was glad we had some extra time so I could share this with you!